Here are a few of the millions of inhabited space habitats scattered across the Three Galaxies. 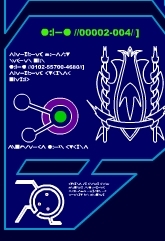 NOTE: Wherever possible, the Commonwealth-era information here has been updated with new data from the Eureka Maru database and other sources or gathered by the Andromeda Ascendant during our missions. However, since reliable scientific data is difficult to come by in these times, some of the more recent entries should not be regarded as totally reliable.